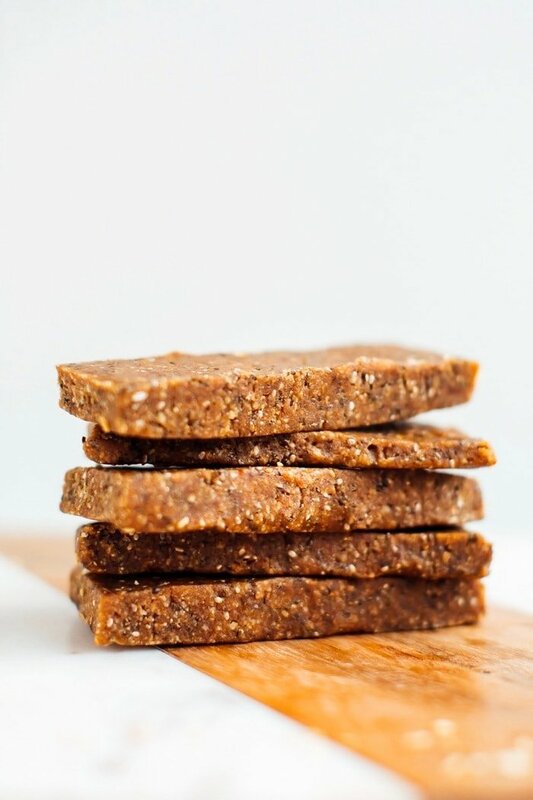 Toasted coconut chia bars made with seven simple ingredients. 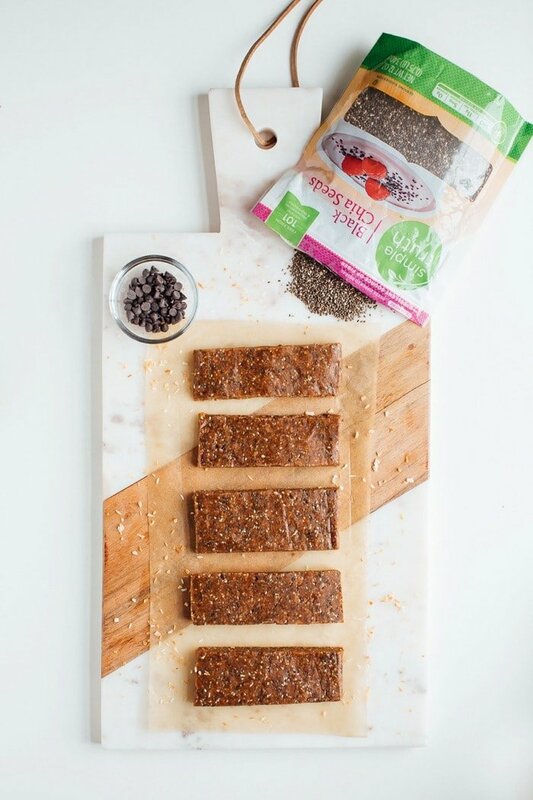 Loaded with complex carbohydrates, protein and healthy fats, these chia bars are the perfect pre-workout snack, especially for runners. This post is sponsored by Kroger. So it’s the end of February! How are those resolutions coming? Oh yeah, remember those? What were yours? Studies show that 80% of people abandon their New Year’s resolutions by February. Are you ready to break that statistic? Let’s stay motivated to kick our goals in gear! Here are my top five tips for sticking with your health-focused goals and resolutions this year. Remember your why. This one is probably my favorite tip. Why did you set your resolution in the first place? What is your motivation and the reasoning behind it? WHY are you doing what you’re doing? When we remember why we started we’re so much more likely to follow through. If you don’t have a reason for what you’re doing, it might not be worth doing at all. When coming up with your why, really hone in on what it is you want and think, beyond the standard “I want to look and feel good.” It needs to be deeper than this! Maybe your why is wanting to have the energy to play outside with your kids or maybe it’s to stop taking a medication you currently have to take daily for your health. Whatever it is, keep this in mind every day — maybe even break out a journal each morning and write your why down so that it’s at the top of your mind! Find your tribe. Who are your people who are supporting you on this health journey? Does anyone in your tribe have the same goal or resolution as you? Surround yourself with people who are going to motivate, encourage and help you to accomplish your goals. Make it fun! If your goals or resolutions aren’t automatically enjoyable, make changes so that they are! Was your goal to work out more? Find a class that you absolutely love. Are you trying to keep your home cleaner? Turn up some music and make a party out of it. Sign up for races, classes or events that keep you on track! I’m running the Ukrops Monument Ave 10K this April. Knowing that I have to run a 10K keeps me motivated to keep up with my training runs and fuel my body so I feel confident come race day. Accountability y’all, it works. Reward yourself! Treat yourself when you accomplish your goals or even part of your goals. This can look different for everyone. Here are some ideas: a massage, a new workout tank top, a fun trip or staycation… the list could go on! Looking for more tips to keep you motivated? Check out these 10 tips for healthy resolutions, all year long. Do your resolutions have to do with eating better or healthier? 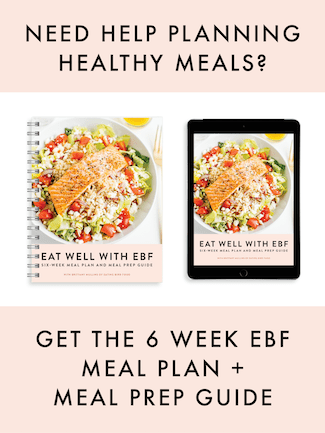 I’ve got a blog for you! 14 tips for getting (and staying) motivated to eat healthy. Now that I’m signed up for a race, I’ve been extra mindful about what I eat around workouts. 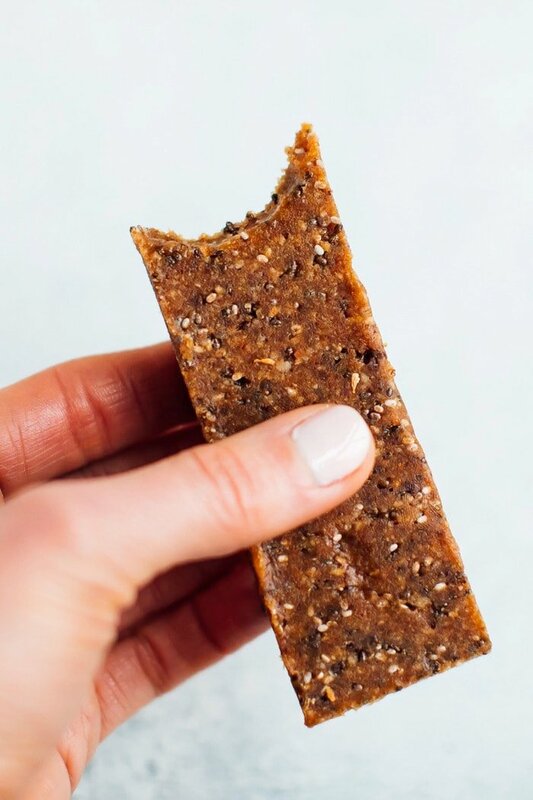 Instead of reaching for something like GU to fuel my runs, I reach for my new favorite pre-workout snack: toasted coconut chia energy bars. 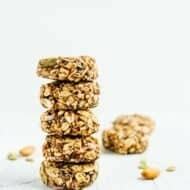 They’re an awesome mix of protein, carbohydrates and fat so they keep me satisfied throughout my workouts — and they taste approximately 100x better than GU. Just sayin’. I found everything I needed to make these bars at my local Kroger, including the Simple Truth chia seeds. I’m excited because Kroger is sponsoring the Ukrops Monument Ave 10K and I’m helping them spread the word about it again this year, just like I did last year! 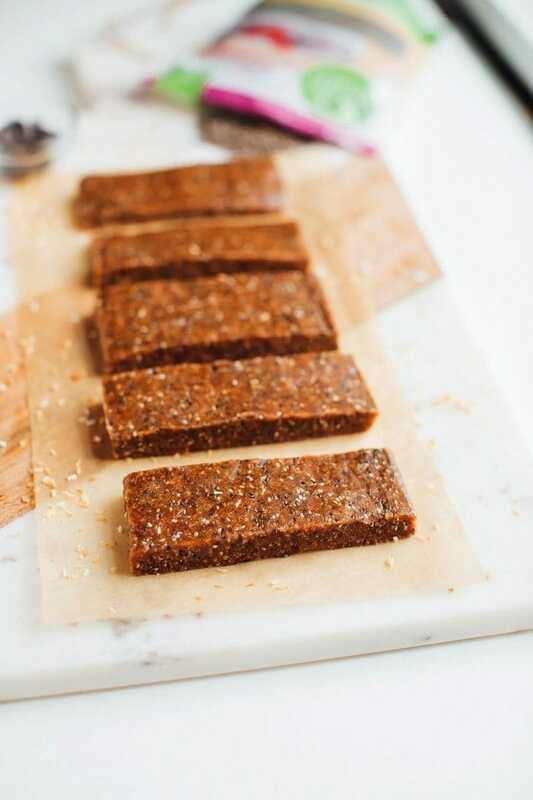 Toasted coconut chia bars made with seven simple ingredients. 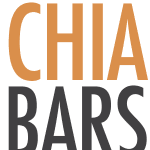 Loaded with complex carbohydrates, protein and healthy fats, these chia bars are the perfect pre-workout snack, especially for runners. Add shredded coconut into a sauté pan over medium heat to toast. Toss consistently until the coconut shreds are golden in color. This should take about 5 minutes or so. Just be sure to watch carefully because you don’t want the coconut to burn. Remove from heat and allow coconut to cool for 10 minutes. 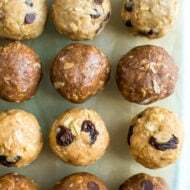 Add cooled toasted coconut, dates, brown rice syrup, chia seeds, almond butter and chocolate chips into the base of a food processor and process until fully combined and starting to form a ball of dough. If the mixture seems a little dry and isn’t really sticking together or forming the ball, add water (up to 1 1/2 Tablespoons). Process again and the ball should form. Remove dough from the processor and press into an 8-inch loaf pan lined with parchment paper. Place loaf pan in the fridge for 30-60 minutes to let the bars set up. 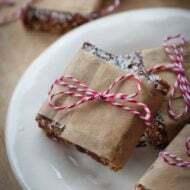 Cut into 6 bars and store in the fridge until ready to enjoy. They should last up to one week. 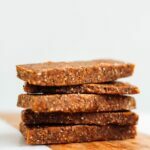 If you try these toasted coconut chia bars, be sure to rate the recipe and leave a comment letting me know how they turned out. Or share a photo on social media. Just don’t forget to tag me @eatingbirdfood and #eatingbirdfood so that I see it. These sound great, I love coconut and chocolate together. So yummy! Do you think maple syrup will work instead of brown rice syrup? Ummm I don’t think they take 60HOURS! Also wondered about maple syrup or molasses? Do you know what I can substitute almond butter with? Peanut butter? I can’t have almond. Thanks! Sure. Any nut butter, like peanut butter, will work! These bars are awesome and are my new favorite go to snack! My 2 year old daughter loves them too! Thanks for sharing such a great recipe Brittany! Hooray! This makes me so happy!! Will these melt if theyre not kept in the fridge? Love the recipe!! They might get a little soft but they won’t melt…. especially if you’re just packing one as a snack for the day. I wouldn’t leave the whole batch out on the counter at room temp because they have no preservatives and they’ll likely last longer in the fridge.